Keeping your lawn manicured, your gardens weeded and your yard maintained may be the most important thing you can do to establish a good reputation in your neighborhood, create curb appeal for your home and find the maximum amount of enjoyment out of your outdoor space. But really, who has the time to maintain their landscape at the necessary level? Not too many of us. So you’ll have to go looking for the right landscape maintenance company in Alameda County. The search for a landscaping maintenance company can be overwhelming. 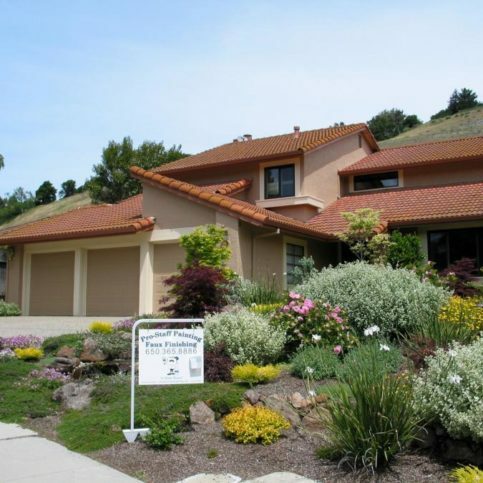 There are many so many options to choose from whether you live in the larger cities of Alameda County such as Oakland, Hayward, San Leandro, Union City and Newark or the smaller towns of Ashland, Cherryland, Livermore, Russell City and San Lorenzo. How do you sort through the frauds, the fly-by-night outfits, the phonies? That’s when Diamond Certified can help! Peruse the following articles to find out which questions to ask yourself before hiring a landscaper, the companies you choose to interview and even some helpful hints for those landscaping maintenance professionals you decide to visit personally. 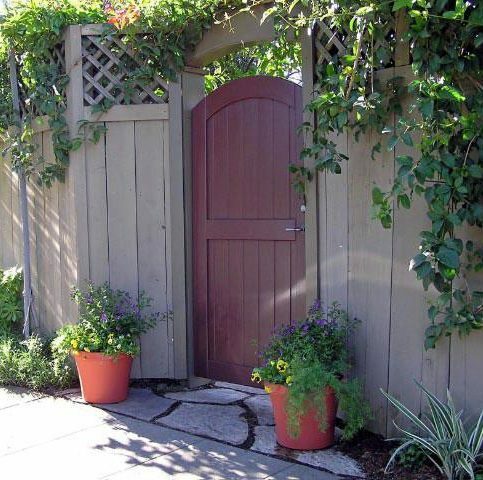 We can help you have confidence in your choice of an Alameda County landscape maintenance company. Think about your outdoor space for a moment. Is it sending the message you want to your neighbors, friends, the outside world in general? Remember your lawn and landscape provide the first impression of you and your house. What do you think a stranger’s impression of your house is as they drive by, head up your walk, survey your backyard? If the answers to these questions underwhelm you, it is time to think about establishing a landscape maintenance program for your outdoor space. You should be thrilled with your green space and excited for others to share in it too. Often the only way to get to this place is to hire professional help. This can range from a neighbor boy with a lawnmower to a fully outfitted company specializing in pruning, weeding, fertilizing, etc. You have to decide the level of work it is going to take to get your landscape into tip top shape and what exactly will keep it there. Landscaping maintenance makes the difference between someone being willing to purchase your home or not. It makes the difference between whether you and others will enjoy being a part of your outdoor space. It is one of the most important things you can do for your home, your community and your happiness with the state of your space. So what are you waiting for? 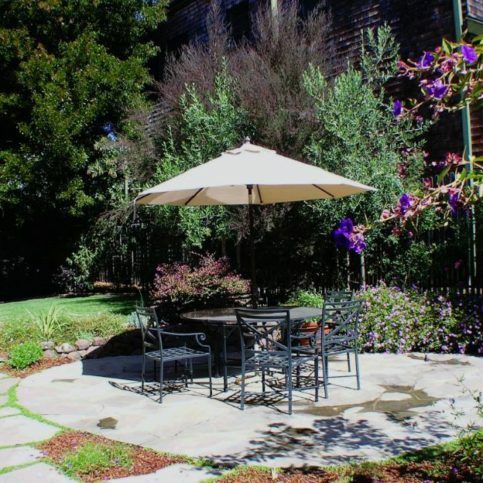 It’s time to begin your search for a reliable Alameda County landscaping maintenance company. As previously mentioned, there are a lot of different options when it comes to finding a professional to maintain your landscape. From the next-door-neighbor kid who has mowed lawns for the past five summers to a big landscaping firm with the knowledge, experience and, sometimes, education in maintenance horticulture and landscape design, you’ll want to understand the different types of individuals and companies that are available before you begin the process of hiring one. First, Diamond Certified primarily rates and backs companies with some amount of experience and expertise. While your neighbor’s green-thumbed offspring may seem like a good money-saving idea, if you want to be certain of quality and have the option for more specialized work to be done, you’ll want to look a little farther than your own neighborhood. Remember, you get what you pay for. The second type of company is the landscaping maintenance company who focuses solely on the upkeep of outdoor spaces. These companies usually have crews of hands-on laborers who report to a manager with more experience and knowledge of specific landscaping maintenance tasks. This is the type of company we will focus on in the remainder of these articles. The last type of landscaping maintenance company is actually a landscaping contractor. Often these bigger firms will handle everything from the design of a property through the lifetime maintenance of that design. You can sometimes receive discounts on maintenance when you hire a contractor for the design and installation of your landscape and you may want to seriously consider this option if you have those needs as well. Be sure to check out the Diamond Certified website for Landscape Contractors if that is the route you choose to take. Why Trust Diamond Certified Landscape Maintenance Companies Rated Highest in Quality? 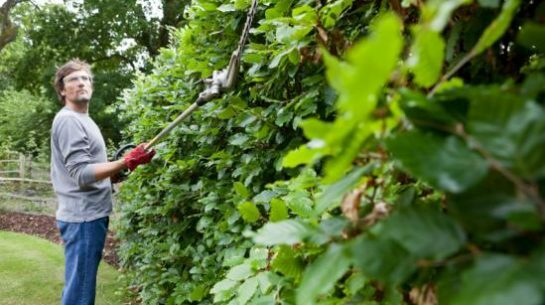 A landscape maintenance contractor trims a hedge. Dinwoodie Landscape Services performed ongoing maintenance on this home. Dinwoodie Landscape Services works with gardens in all types of environments. Dinwoodie Landscape ServicesÛª ongoing maintenance includes keeping things pruned and installing new plants as needed. 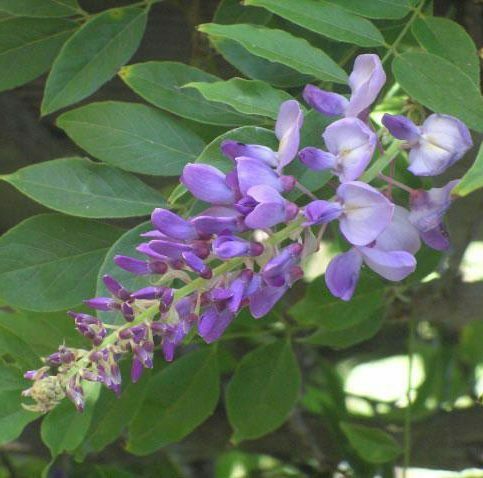 Wisteria needs constant maintenance throughout the year. Dinwoodie Landscape Services changes pots seasonally as some plants go dormant and others grow out. 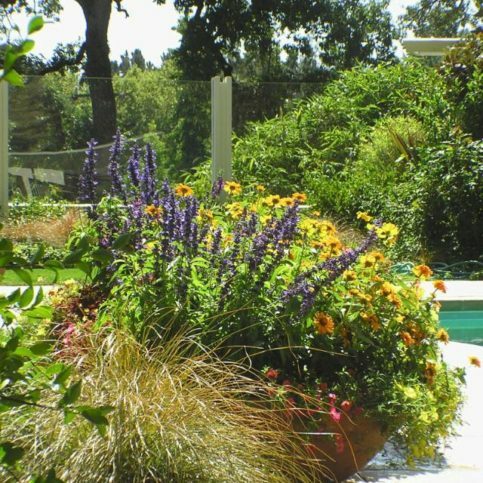 Dinwoodie Landscape Services installed this pot with long-lasting plants as part of a staging project. Dinwoodie Landscape Services works with real estate brokers to pick plants and flowers that achieve the looks the sellers want. Dinwoodie Landscape Services designed this patio and planted around it. Dinwoodie Landscape Services cleaned up this outdoor area to reveal the stairs. 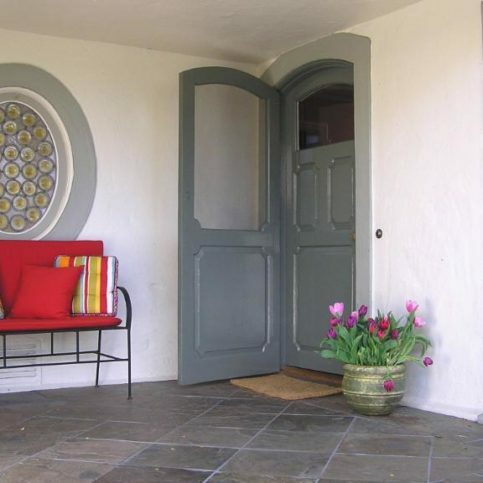 Dinwoodie Landscape Services installed stones and pots to make this back entry look more inviting. Dinwoodie Landscape Services did long-term maintenance on this home before it was sold. There are a lot of things to consider before beginning your search for a trustworthy landscape maintenance company in Alameda County. First and foremost, you’ll need to decide exactly what level of landscaping maintenance is necessary for your outdoor space. You’ll need to spend a considerable amount of time in your yard to establish what exactly needs to be accomplished on a weekly, monthly and seasonal basis. It is important to be honest with yourself about your specific needs at this point. You will want to send your landscaping maintenance proposal to at least three companies for a bid prior to deciding on a professional to go with, and you’ll want to be sure that they are bidding on the same job or the cost estimates will not be accurately comparable. Use the following questions as guide as you consider taking the very important first step toward hiring an Alameda County landscaping maintenance professional. You won’t be sorry that you took the time to evaluate your needs before attempting to hire help in the area of landscaping maintenance. Do I want a Diamond Certified landscaping maintenance company that is rated best in quality and backed by the Diamond Certified Guarantee? How long do I want to employ someone to maintain my landscape? What will my contract time frame be? What exactly do I want to be done on a seasonal basis (i.e. spring clean-up and fall leaf removal)? Do I have areas that need to be re-mulched on a regular basis? Are their trees and shrubs that need trimming and/or pruning? How often would this need to be done? How often do I want my lawn to be mowed? How often should it be mowed? How concerned am I that my lawn look manicured? Is it important to me that a landscaping maintenance company creates a design for my clipped lawn? Am I interested in a fertilization plan for my lawn and/or gardens? Are there any areas of my outdoor space I am particularly concerned about? What are they and what are my specific concerns? Should I make a plan for seasonal color in my flower beds? After interview several Alameda County landscaping maintenance professionals over the phone, it is imperative that you narrow your choices to a select few in your surrounding area. You’ll want to visit these companies in person to get a feel for their operation and ask them further follow-up questions to make your final decision about which landscape maintenance company will fit with your needs and schedule. Carefully craft a plan for the in-person interview so that you know exactly what you want to ask and be ready to compare and evaluate your final companies so that you can be confident when you hire your Alameda County landscaping maintenance professional. What is included in your typical landscaping maintenance plan? Do you collect clipped grass every time you mow? Will you service my property every week? What is your usual plan for service schedule? Will I be assigned a representative at the your company to whom I can address any concerns or questions? Will this be the same person whether the concerns are of a financial or technical nature? Who is in charge when a crew is sent to my home? Will it always be the same crew and manager? 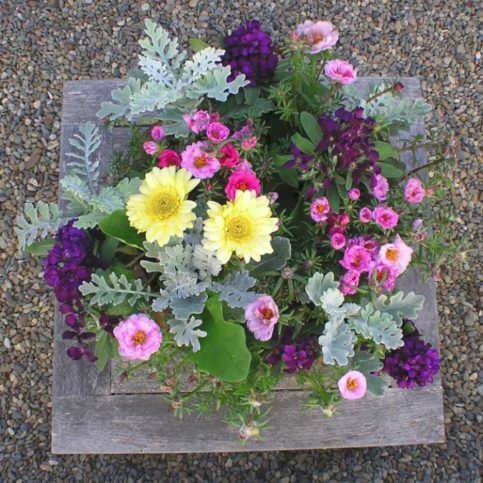 When do you usually plant seasonal color? What are your fertilization practices? Are you willing to work with me if I want to develop a specific fertilization plan that will not interfere with my enjoyment of my landscape (i.e. special needs for children and/or pets)? What are your irrigation practices? Will you educate me on how to keep my outdoor space watered in between your service visits? What happens if it rains on a day you are scheduled to work on my yard? It is difficult to have complete confidence in your choice of an Alameda County landscaping maintenance company without checking the references of past clients. But do you have time to do all that research? Do you trust that the references you’ve been given are reliable? In both cases, probably not. Which is why it’s best to choose a Diamond Certified landscaping maintenance company-because all certified companies have passed an in-depth ratings process that most other companies can’t pass. If you want quality from a landscape maintenance company in Alameda County, you can have confidence choosing a Diamond Certified company. Diamond Certified reports are available online for all certified companies. And you’ll never be fooled by fake reviews. That’s because all research is performed in live telephone interviews of actual customers. If you can’t find a Diamond Certified landscaping maintenance company in your area (most likely if you are in the smaller towns of Ashland, Cherryland, Livermore, Russell City and San Lorenzo), you’ll have to do some research on your own. If you do, it’s wise to call some references provided by your landscaper. Keep in mind, though, that references provided to you by the landscaping maintenance company are not equal in value to the large random sample of customers surveyed during the Diamond Certified ratings process. That’s because references given to customers from companies are cherry-picked instead of randomly selected from all their customers. So the contractors will likely give you a few customers to call that they know are satisfied. Is your outdoor space currently being maintained by this company? If no, why not? Did this company provide open and timely communication throughout your maintenance plan? Did this company make sure to leave your outdoor space safe for your family and pets during and after landscaping service? Were grass clippings, leaves and other debris collected as scheduled? Have you received any specialized services from this company? If yes, what were they and were you happy with the outcome? Were there any charges added that surprised you? Were you happy with the estimate to actual cost difference? Did this company keep current with all local water ordinances? Does this company understand irrigation systems (if you have one) and were they willing to educate you on how to keep your yard properly watered between their service calls? Are you happy with response time to calls about specific and timely landscaping maintenance issues and requests? Are you satisfied with their service? Would you/have you recommended this contractor? Would you hire this landscaping maintenance company again? Your choice of a landscape maintenance professional is one of the most important decisions you’ll make for the health of your landscape and home. You want to be completely ready to make a commitment with a company and feel confident that it has the potential to be a solid professional relationship with trust and longevity. So before deciding on the best landscape maintenance company in Alameda County for you, it’s important to consider the following questions. Was I able to communicate effectively during my person-to-person visit? Did I feel as though my thoughts and concerns were being heard and validated? Is this a company I can see myself working with on a weekly basis for the duration of my landscaping maintenance needs? Am I certain that the company I’m thinking of hiring has the expertise and experience to effectively landscape my yard to my satisfaction? Can I trust the fate of my lawn and landscape in this company’s hands? You may think that you’ve narrowed your selections down enough during the interviewing process, but the truth is, you can’t completely narrow your decision to one landscaping maintenance company until you’ve had a least three bid on your landscaping maintenance specifications. Think of the interview process as round one and the bidding process as the final round in hiring a responsible and effective Alameda County landscaping maintenance professional. Once you’ve established a specific landscaping maintenance plan, it is time to begin the bidding process. Utilizing the answers to the questions above from each company, determine at least three that you would like to work with further. Remember, professionals recommend that you have your bids for the following year of service to landscaping maintenance companies no later than October 31 of the previous year. Landscaping maintenance business picks up in early spring, and you’ll want to make sure you’ve secured a good landscaping maintenance professional well in advance. Once you have decided on three to five companies to send your bids to, send them identical specifications and an expected date of return for their bids. Did one company provide recommendations based on your specifications that you could not have known about when you put your plan together? Did they include these in your bid? Did any of the companies make suggestions on how to tailor your landscape to decrease the amount of maintenance you need? Did any of the companies offer to present their bid to you at the property to be maintained so that they could see the outdoor space and answer any specific follow-up questions at the time of the presentation? The landscaping maintenance plan you present to the different companies is a guide they should use to develop a more comprehensive plan and bid. The landscaping maintenance company you should ultimately decide to hire should take your specifications and then use their knowledge and expertise to craft a more streamlined and detailed plan for your landscape maintenance needs. It will be clear which company you should hire because they will be the ones offering you suggestions on how to create a landscaping maintenance plan that more fully fits your needs and enhances their ability to serve you. Truth be told, the initial bid you receive from a landscape maintenance company, whether you live in the bigger cities of Oakland, Hayward, San Leandro, Union City and Newark or the littler towns of Albany, Castro Valley, Emeryville, Mount Eden, Piedmont and Sunol, should look quite similar to the final estimate you get from the company you decide to hire. Unless you’ve overlooked a large section of landscaping maintenance in your outdoor space, the bidding process should lead smoothly to an estimate you can trust and a contract you feel comfortable signing. The charges for a monthly plan that includes repairs, maintenance, fertilization, replacement of organic materials, etc. The bid and estimate should be as detailed as possible. If you are uncomfortable or unclear with anything outlined in the bid and/or estimate, you should certainly speak at length with your representative from the landscaping maintenance company about your concerns and get them resolved before making your final hiring decision or signing a contract with your chosen company. Now that you’ve gone through the bidding process and made your final selection of an excellent Alameda County landscaping maintenance professional, it is time to take a sigh of relief. The hard part is over. Now you can sit back, relax and enjoy the fruits of your laborious search. You may want to gain a basic understanding of what landscaping maintenance plans include, however, to make sure that your maintenance plan is going to cover all your areas of need as well as to ensure that the company is doing all they promised in their bid and estimate. Be aware that most landscape maintenance companies think of actual landscaping as a different service than dealing with your irrigation system, if you have one. The basic elements of each service are detailed below. Your landscaping and/or irrigation maintenance program could include any or all of these elements. Remember to discuss any questions, concerns or specific projects with your landscaping maintenance representative before signing a contract. 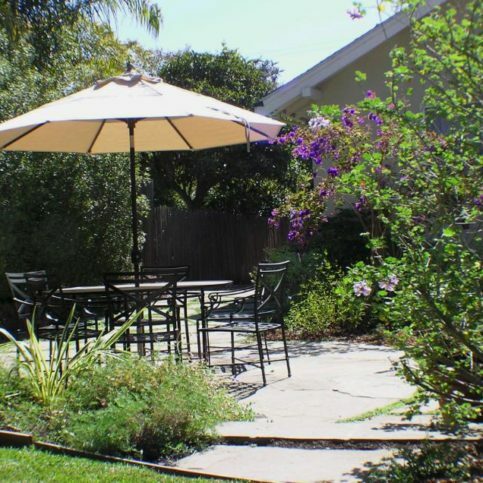 Just to reassure you that you’ve made the right decision in hiring a professional for landscaping maintenance including if you live in the cities of Fremont, Berkeley, Alameda, Pleasanton and Dublin, you should be aware of the benefits you’ll experience from a good working relationship with an Alameda County landscaping maintenance professional. First, there are monetary benefits. Landscaping adds value to your property, not only to your outdoor space, but also to the worth of your house. If you are ever concerned about reselling your property, the benefits of having a well-maintained landscape far outweigh the costs. Improper care of a beautifully installed landscape can lead quickly to complete ruin of your investment in your outdoor space. The smartest thing you can do for your yard is to make sure it is maintained professionally. 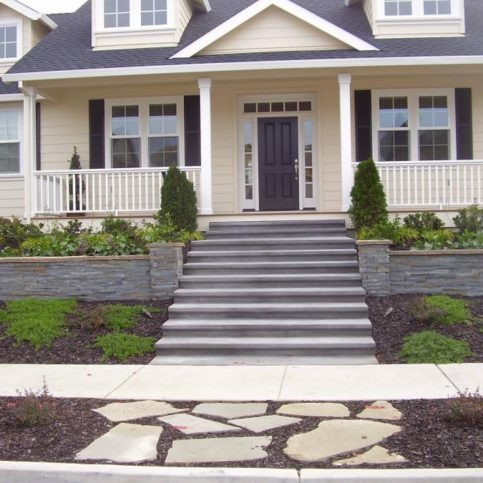 Second, landscaping maintenance adds an incalculable aesthetic appeal to your home. The proper maintenance of a professional landscape can add untold beauty to an outdoor space as well as the added benefit of blocking unwanted views and cutting down on noise. The reduction of stress and increase of enjoyment in your well-maintained outdoor space cannot be quantified. 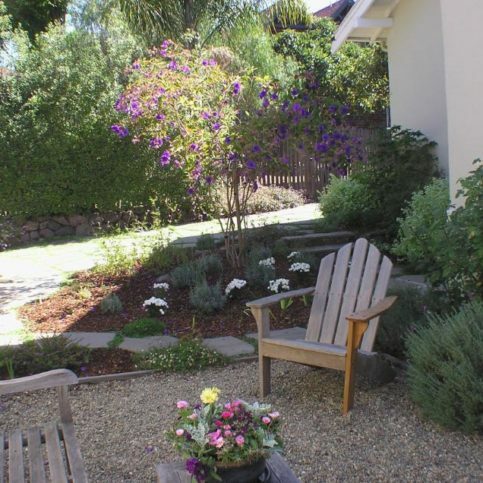 How Can You Be a Good Alameda County Landscape Maintenance Customer? It’s the landscaping professional’s responsibility to maintain your lawn and yard using the best possible landscaping and gardening techniques. But you play a big part in the success of your landscape maintenance crew, too. Here are a few simple steps you can take to be a good customer when hiring an Alameda County landscape maintenance company. Be clear and upfront with the landscape maintenance company. Let them know what you want from your landscape maintenance, the long-term outcome you’re expecting and specific ways they can satisfy your expectations. Before you hire a landscaping maintenance professional in Alameda County, restate your expectations and goals, and reiterate to the landscaping representative your understanding of the agreement. Most problems with local landscape maintenance companies occur because of a breakdown in communication. By being clear about your expectations and theirs, you can avoid most conflicts. Ask your landscape maintenance professional if you should call to check on the progress or if he will call you with updates. Be sure your service representative has a phone number where they can reach you at all times while they’re maintaining your yard. The work will move along more smoothly if your landscaper can reach you for any necessary updates, questions or work authorizations. When your landscaping maintenance professional contacts you, return calls promptly to keep the maintenance on schedule. Pay for the landscaping maintenance work promptly. Why would you want to be a good customer? 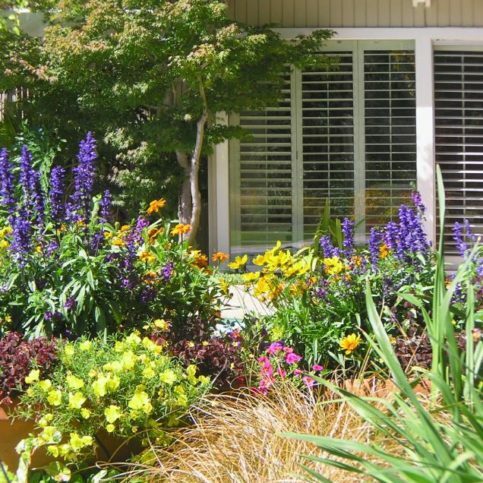 Landscape maintenance companies in Alameda County appreciate customers who are straightforward, honest and easy to work with. Your good customer behavior sets the tone from your end and creates an environment conducive to a good relationship. Things may very well go smoother and any problems may be more easily resolved. You can do all that is in your power to be a well-educated and straightforward client in your relationship with an Alameda County landscaping maintenance company. However, you’ll also want to be aware of the ways in which you can protect yourself should the company not reciprocate with professional courtesy. Always ask for a warranty on service provided. 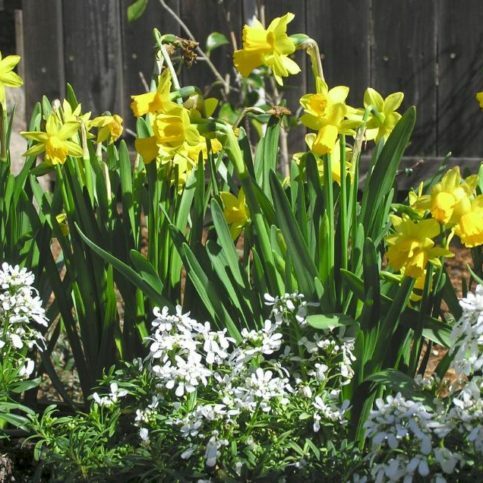 Some Alameda County landscaping maintenance companies may try to say that they cannot provide a warranty because the products and spaces they work with are ever-changing and subject to outside interference. However, a good landscape maintenance professional will stand behind their work, whether it be the machines they use, the fertilizers they spread or the plants they provide. Requesting a warranty before beginning service with an Alameda County landscaping maintenance company is not only a good idea, it is absolutely essential. Another way to protect yourself is to check and double check that the company you hire has up-to-date insurance. This includes seeing all insurance paperwork and/or certificates associated with each employee who will be attending to your landscape maintenance program. While this may seem time consuming, it will save you a world of time and money later on, should one of these employees have an accident while maintaining your landscape. Remember, no matter where you live in Alameda County, whether in Fremont, Berkeley, Alameda, Pleasanton and Dublin or Ashland, Cherryland, Livermore, Russell City and San Lorenzo, you have the right to protect yourself in the process of maintaining your landscape. If you don’t take the time to secure a warranty or find out about a company’s insurance, you’ll only have yourself to blame when something goes wrong. Includes mowing, edging, trimming, blowing, bagging and removing all clippings. Includes privet trimming, shrub and bush shaping and all kinds of topiary pruning. 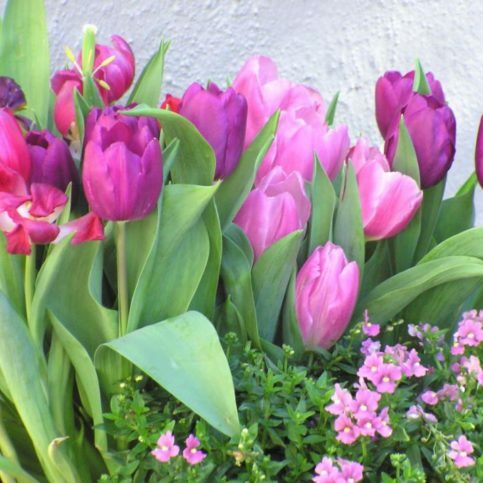 Includes installation of annual plants, perennials, arrangement of hanging baskets and planters, planting of groundcover, shrubs, bushes and even trees. Includes the removal of old and spreading of new mulch. Includes the maintenance of any stone areas of your landscape, including landscape stone in garden beds, stone walkways and patios. Includes the sharpening of all edges to your yard including around driveways, planters, beds, trees, islands, sidewalks, etc. Includes shaping all bushes after winter and removal of any cold-weather related debris. Includes leaf raking and removal as well as preparing any areas for colder weather. Includes educating the property owners about what fertilization is necessary for their lawn and beds as well as developing a personalized plan for spraying and spreading of fertilizer. Includes all aspects of dealing with a property’s irrigation system from setting timers to checking the proper functioning of all components. The many services that landscape maintenance professionals provide can lead to misunderstandings of terms and definitions. The following glossary should help you to communicate more effectively with your landscaping maintenance representative. The decrease in soil reservoir capacity allowable before adding irrigation water. A medium value turf is typically managed at 50% AD, whereas a low value turf may be managed at a 75% AD. balled and burlappedA way of packaging plants in which the roots are contained in a ball of soil held together in burlap. The diameter of a tree trunk measured 6,Ae>= (15 cm) above ground level for trees up to 4,Ae>= (100 mm) caliper and 12,Ae>= (30 cm) above the ground for larger sizes. Trees or shrubs packaged with their roots and growing medium in a plastic or peat-fiber container. A plant that loses its leaves in the winter. The process when a plant loses all its leaves. The combination of evaporation (water loss from land and water surfaces) and transpiration (water loss from plants). A plantwhose leaves or needles are green year-round. Plants that are low-growing and create a blanket appearance over an area. A rope or wire used as a tree support. The process of watering a landscape. Often refers to an automatic system. A soil type composed of clay, silt and sand particles in relatively equal amounts. Loam is considered ideal for plants because it drains well but does not dry out quickly. Spaces within soil that contain air and water. A growth originating from the rootstock of a grafted plant, rather than the desired part of the plant. Sucker growth should be removed, so it doesn’t draw energy from the plant. A chemical which is absorbed directly into a plants system to either kill feeding insects on the plant, or to kill the plant itself. Q: Why choose a Diamond Certified landscape maintenance company? A: Diamond Certified helps you choose a landscaper with confidence by offering a list of top-rated local companies who have passed the country’s most in-depth rating process. Only landscape maintenance companies rated Highest in Quality earn the prestigious Diamond Certified award. Most companies can’t pass the ratings. American Ratings Corporation also monitors every Diamond Certified company with ongoing research and ratings. And your purchase is backed by the Diamond Certified Performance Guarantee. So you’ll feel confident choosing a Diamond Certified landscape maintenance company. Q: What exactly are landscape maintenance services? A: Landscape maintenance is whatever measures are taken to keep an outdoor space clean, neat, enjoyable and attractive. A landscaping maintenance professional can perform a variety of tasks to accomplish this including mowing, edging, removing organic debris (i.e. grass clippings, weeds, leaves, etc. ), pruning, trimming, seasonal planting, fertilization, pest control, management of irrigation systems, etc. Q: Do I need a professional landscaping maintenance plan? A: Simply put, yes. Many people are too busy to give their yards and properties the care and attention necessary to maintain curb appeal and complete enjoyment of their outdoor space. A good landscaping maintenance program can reduce your stress, add to the value of your property and increase your satisfaction with your outdoor space. Q: What does a good landscape maintenance program usually cost? A: This is a tricky question to give a broad answer to. Most companies determine the cost of each landscaping maintenance session by measuring your property including grass to be mowed, beds to be planted, pruning/trimming to be done and then factor in all the other services you request. The best way to know you are getting what you want for your money is to develop a detailed plan before approaching three to five landscaping maintenance companies for a bid and deciding from there. Q: Should I sign a contract with my landscaping maintenance company? A: Of course. Your professional relationship with a landscaping maintenance company should be one of trust and longevity. By signing a contract, you will have complete understanding of what maintenance will be performed on your property and when it will be performed. If you like how a company handles your landscaping maintenance plan and want to continue using their services, you should look to renew your contract at least once a year. Q: How often should I have my lawn mowed? A: The frequency of grass clipping and lawn height are both determined by what kind of grass you have and the amount the grass grows in the climate you are in. A good estimate is every four to seven days, depending on growth rate. Q: Do I need to have mulch spread on my flower beds? A: It is up to you, but most landscaping maintenance professional agree that the benefits of mulch far outweigh the cost of upkeep. Mulch brings a uniform beauty to your property while reducing weeds and retaining moisture. It provides natural insulation against extreme temperatures and enriches your soil, further cutting down on your need for fertilization. Q: What if it is raining on the day my landscape maintenance crew is supposed to service my property? A: Most landscaping maintenance companies have a plan for weather contingencies. You should find out what that plan is before selecting one. Most often companies try to determine if they can still work through the weather without causing more harm than good. If not, they’ll reschedule for the following day. Q: What is aeration and should I consider it for my lawn? A: Aeration is a process that creates holes through your grass, turf and soil and deposits the plugs on top of your lawn for eventual decomposition. While not every lawn needs aeration, it is a good issue to discuss with your landscaping maintenance professional because over time, the process of aeration decompacts soil and allows for better growing conditions and irrigation.